Looking for a Beautiful Custom Hunting Knife? Upswept Skinners are Here! Looking for a Beautiful Custom Hunting Knife? Our New Upswept Skinners are Here! Start the hunting season off right, with a brand spanking new custom hunting knife from Sandstorm! See which of our newest hunting knives is the best one for your needs. 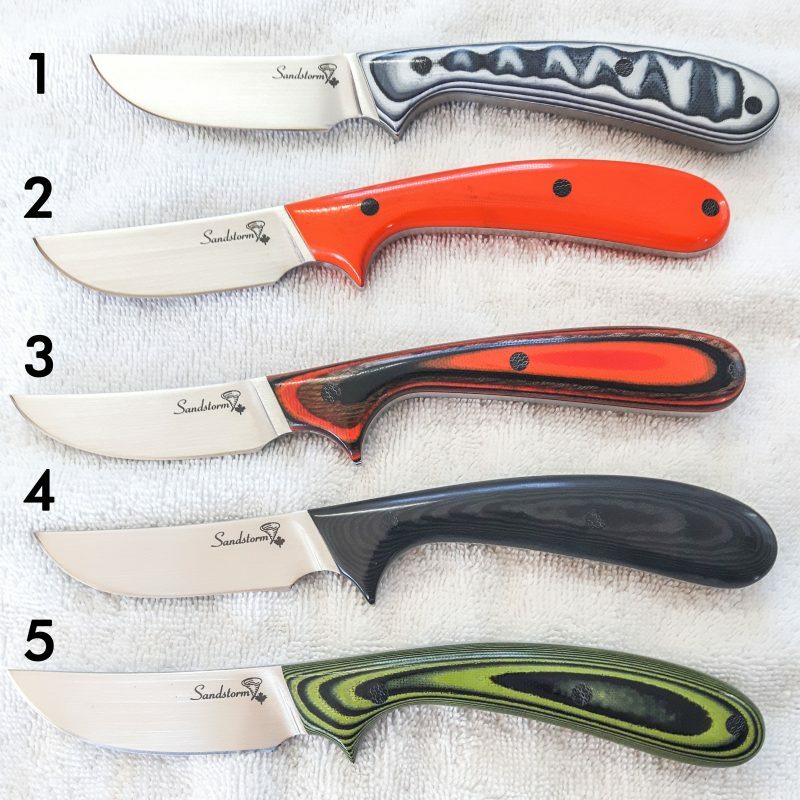 These are upswept skinner knives and all 5 of these babies are in stock…for now!! New Sandstorm custom hunting knives are up for grabs! The blade on each is 2 ¾” made from S30V steel, with a Rockwell hardness of 60 for optimum strength and toughness. Each is going for the nice price of $300 CAD. All Sandstorm Custom Knives are guaranteed for LIFE, plus a lifetime’s worth of FREE sharpening. 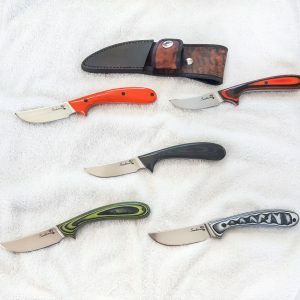 And each comes with a hand-sewn leather sheath made from 9/10 oz top quality leather with a Terra Cotta finish, exclusive to Sandstorm Custom Knives. Each Sandstorm Custom Knife comes with a hand-sewn, top quality leather sheath. 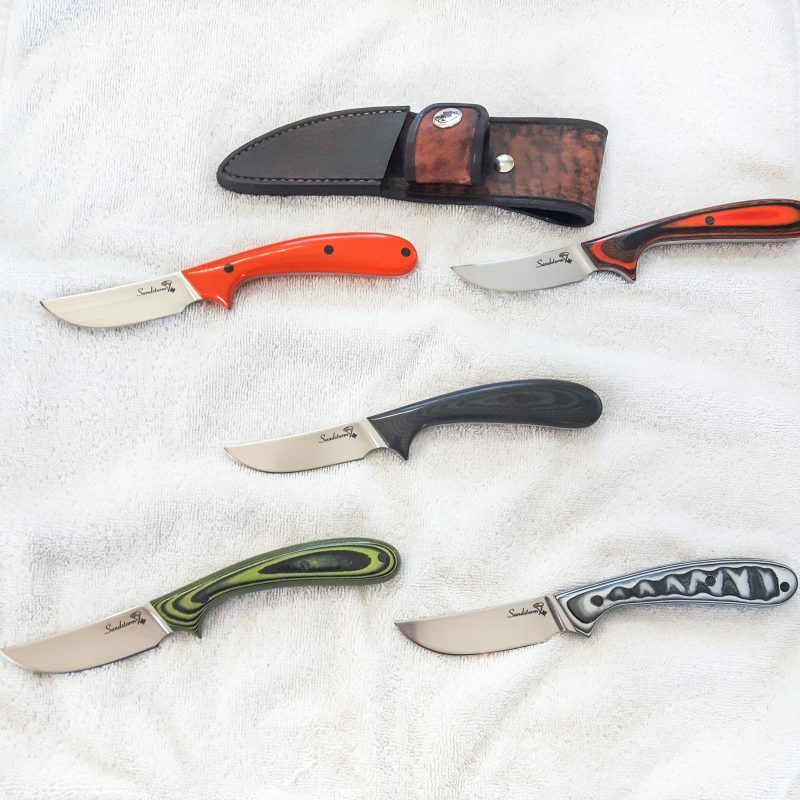 Make sure your hunting knife is a cut above the rest – come down to our Campbell River shop and see these beauties in person or contact us to order one and have it shipped to you. Get ’em while you still can! Want to see more Sandstorm Custom Hunting Knives? Check out our online photo gallery.